Studies of various businesses and organizations reveals over 70% of strategic plans are never significantly implemented. My guess is this percentage is much higher in the local church. 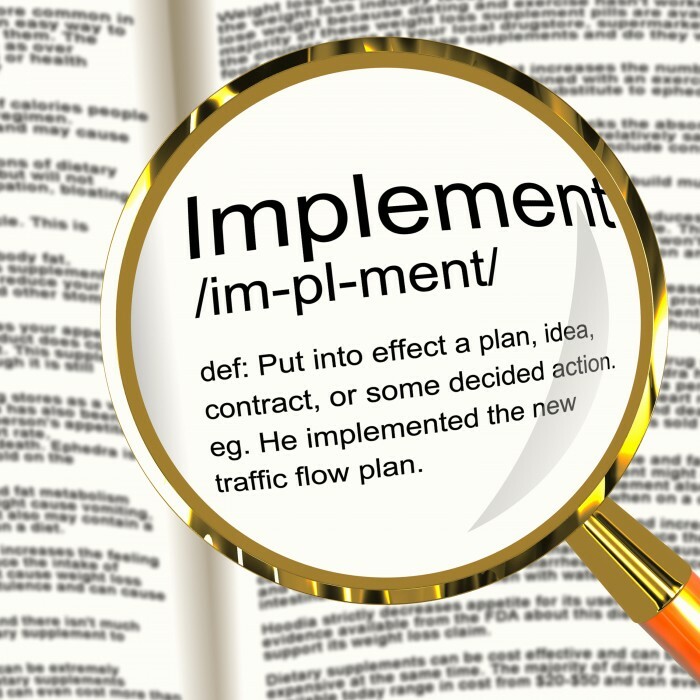 Why do most strategic plans never make it off the printed page to implementation? In my experience a lack of execution can frequently be traced to a failure to understand the power of organizational alignment and integration. Alignment may be defined as the proper positioning of parts (strategies, programs, events, services, ministries, etc.) to achieve an overall objective. As a car with tires out of alignment pull the car away from the intended direction, a strategic plan without every ministry in the church pulling in the same direction can’t be successfully implemented. Integration may be defined as the combination of two or more previously segregated or disparate parts into one unified system. Just as two oxen can individually pull 1200 pounds yet when yoked together can pull 3000 pounds, every ministry working in coordination and collaboration with each other will produce synergistic results. Coordination is when two or more ministries sequence and harmonize their individual activities and schedules for the good of the whole church. Collaboration is where individual ministries and leaders actively partner to achieve the church’s mission, vision and strategic plan by communicating with and serving one another. Both coordination and collaboration are necessary skills for organizational alignment and integration. To successfully implement your church’s strategic plan you must constantly be aligning and integrating the plan into the organization through ten components: Ministry Goals, Ministry Tactics, Processes and Systems, the Church Budget, Staff Structure, Church Values, Leader Development, a Communication Plan, Tracking and Measures, and Reporting and Accountability. #1. Ministry Goals: Every ministry establishes measurable goals that support the vision and objectives of the strategic plan. #2. Ministry Tactics: Every ministry establishes specific tactics and initiatives to accomplish the measurable goals that support the vision and objectives of the strategic plan. #3. Processes and Systems: New organizational and ministry processes and systems are developed and existing processes and systems are modified to support the vision and objectives of the strategic plan. #4. Church Budget: Church and ministry budgets are restructured to prioritize funding for tactics and initiatives that support the vision and objectives of the strategic plan. #5. Staff Structure: New and future staff positions are developed and current staff positions are restructured to support the vision and objectives of the strategic plan. #6. Church Values: The new values required to successfully execute the vision and objectives of the strategic plan are identified then communicated, elevated, celebrated and demonstrated. #7. Leader Development: Plans are established for both centralized and decentralized leader development to provide the knowledge, skills, attitudes and habits required to accomplish the vision and objectives of the strategic plan. #8. Communication Plan: Congregational and community messages are designed to speak to both the heart and the head of the vision and objectives of the strategic plan. #9. Measures and Tracking: A scorecard of measures is developed along with a process for tracking the metrics that define successful implementation of the vision and objectives of the strategic plan. #10. Reporting and Accountability: Church staff, church leadership and congregational venues and processes are established for reporting on results and to provide accountability for executing the vision and objectives of the strategic plan. Once you have created your strategic plan the challenging and complex journey of implementation begins. As you do, remember your strategic plan will never move forward unless you intentionally and regularly tie together these ten components of organizational alignment and integration. I consider Jim Baker to be a stand out sage in our Executive Pastor Mega Church Best Practices Forum. Each year I am blessed by a man with a Pastor’s Heart, a Business Man’s Head and a Servant’s Hands. Every time I am with Jim I feel like I have learned from one of the best and most well balanced Executive Pastors in the nation. Jim is a rare left and right brain thinker that serves excellently from the highest level vision all the way down to the most detail tactic. Jim knows how to create effective control environments that are practical and light, not bureaucratic. Jim works as unto the Lord and is very comfortable in his own skin, not drawing attention to himself or trying to prove who he is. Two words that personify Jim Baker are, “Humble Servant”.